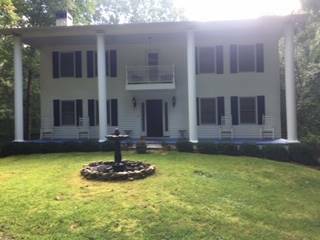 This is a rural 3,000 Sq Ft Colonial Home on 7 acres in Dawsonville Ga. 60 miles north of Atlanta in the scenic Northeast Ga Mountains. This gated house has large 17 x 34 swimming pool, high ceilings, columns, balconies, in a private wooded setting. Near shopping and restaurants despite rural setting. Also, owner is native to the area and can find other types of unique settings/locations if desired.